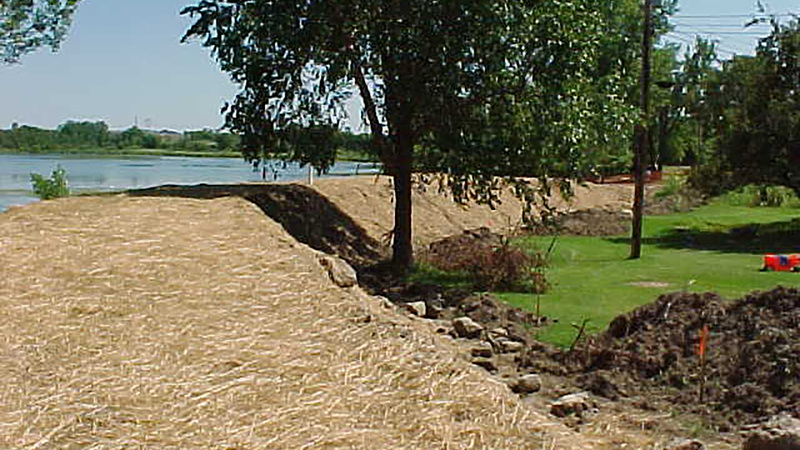 A flood control project to protect homes on Battle Creek Lake. Prior to this project, three homes were located within the 100-year flood zone of Battle Creek Lake. Of those homes, the District and the City of Woodbury found it was most feasible to relocate two of the homes and flood-protect the remaining home. The project included construction of an earthen flood protection berm, a collection manhole and a lift station with pumps, control panel and discharge piping. The berm is located on the southwest side of Battle Creek Lake between the Shawnee Park boat launch and the Menomini Park fishing pier. There is a paved trail along the top of the berm connecting the two parks. 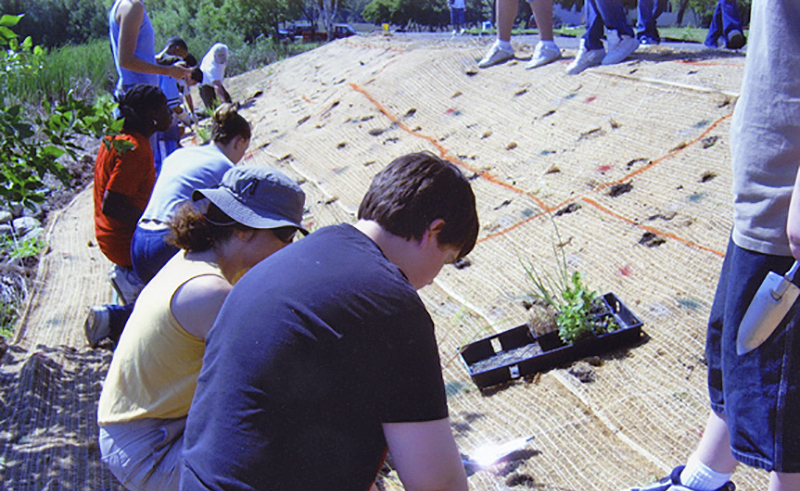 Prairie seedlings were planted by volunteers from a local school in 2003, and District staff installed wet meadow and emergent plants. The berm prevents Battle Creek Lake from flooding the remaining home during a 100-year storm event. The collection manhole and lift station pump surface water from behind the berm to the lake.